I feel like the word "selfish" is such a taboo word and it really shouldn't be. It's okay to be selfish! What people don't realize is if you aren't taking care of yourself first, how are you supposed to take care of everyone else? 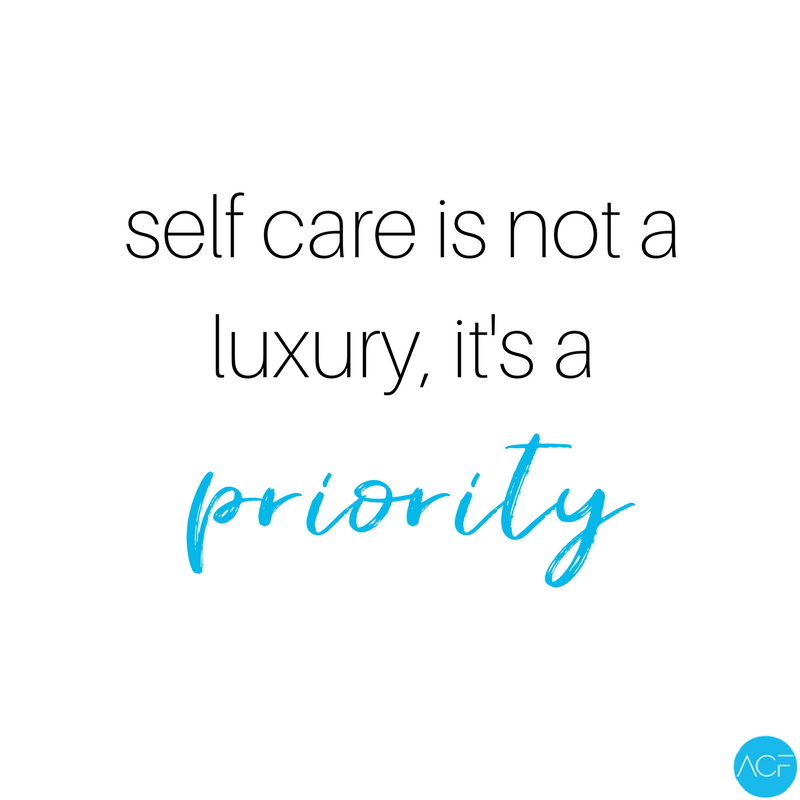 Self care and self love are so important. Most of us are running around doing 98394 things for 15 different people. Whether you have kids, spouses, friends, family etc. a female is always putting herself last. I am here to tell you to STOP doing that! It doesn't have to be something extravagant, you don't have to spend tons of money or take tons of time. It can be really simple. workout: if you have 20-30 minutes of time, getting in a great sweat can really help you focus and give you energy. HIIT is the best because it doesn't require a gym and you can do a lot of it from home. bath: taking a hot bath is such a good way to self care. Diffusing essential oils is even better. It doesn't have to be an hour bath, but relaxing in this way helps you unwind for a little and reset. getting pampered: going to get your nails or hair done is always the best. This simple act can make you feel as though you did something for yourself. try doing something a few times per week that makes you happy. Like I said, it doesn't have to take a ton of time. Remember you cannot pour from an empty glass. If you burn out, you will be useless to everyone else around you. Health is the most important thing you have. For more tips and healthy recipes subscribe to my newsletter!